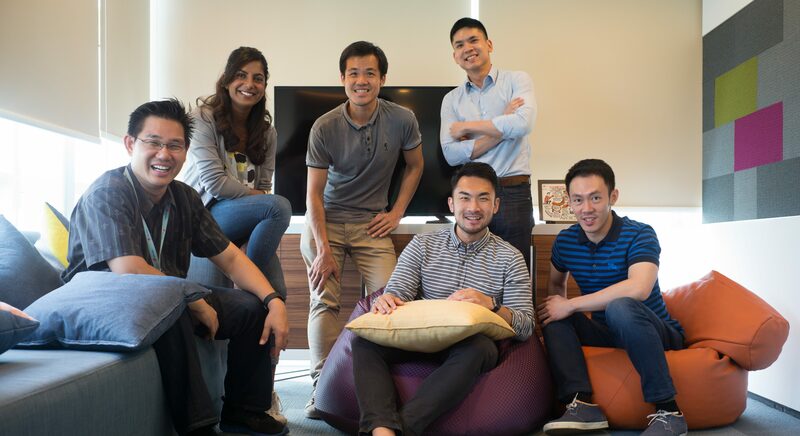 Axiata established Axiata Digital back in 2012 to capture the rapid growth in internet-based businesses and to date, they have a portfolio of over 20 digital brands—and an in-house digital venture named Twig is one of them. The team were struck by how mobile devices are the first touch point for consumers today. And to put this into perspective, we instinctively reach for our mobile devices as soon as our eyes flutter open at the start of the day. They’ve become our second appendages and we are predisposed to consuming more than we should. It’s no secret how brands are paying a huge sum in order to personally engage consumers in their daily life. Even when you use Google, companies are paying a premium to have their ads and their sites appear on the first or even second page. Reviewing our daily experiences, the Twig team realised that the first screen we see—the lock screen—is a prime advertising space that is still underused in Malaysia. Twig is a lock screen app that rewards users for actively discovering content that matters to them through customised ads on their lock screen. This includes deals and promotions from brands that the user prefers to engage with, as well as trending news articles and stories. It’s like Tinder, but instead, you actually get rewarded for swiping. The app allows users to earn points each time they unlock their mobile devices, browse websites, complete ‘app missions’ and download new apps. “Our users are unlikely to become rich from the app but they’ll earn between RM5 to RM20 per month to partially subsidise their lifestyle needs,” said Ming Luk. Some users may shy away from the small payout but Twig’s users are happy that they are able to earn several ringgit for their lifestyle activities just by doing something that is already part of their daily routine. In the future, Twig plans to increase the reward paid to users once it signs-up more advertisers. While there are other similar advertising apps which also compensate users in some way, all of them require the user to perform extra activities such as quizzes or surveys. Twig however, does it without having users to spend extra time. That is one of the key factors that has probably contributed to Twig’s numbers. To date, they’ve amassed over 200k downloads since December 2015. 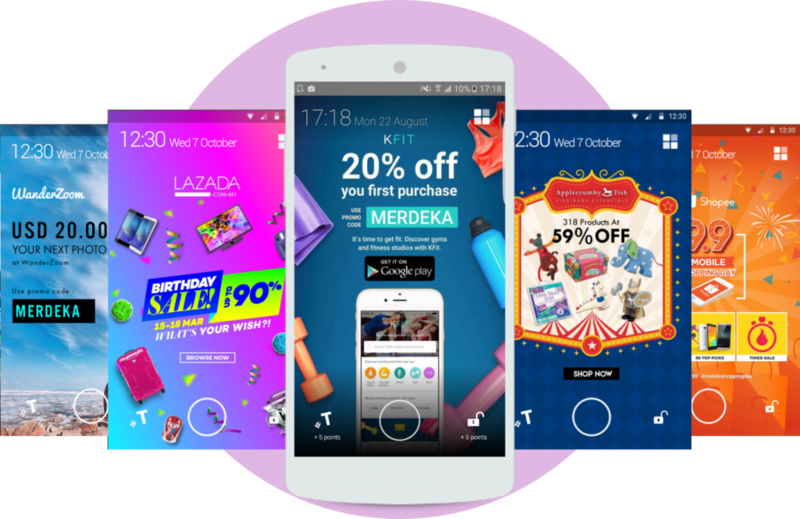 With the points earned, users can then redeem a range of rewards from mobile phone top-ups, e-commerce shopping vouchers from Lazada, 11Street and Zalora, Google Playstore gaming credits, Chatime drink vouchers, movie tickets and many more. 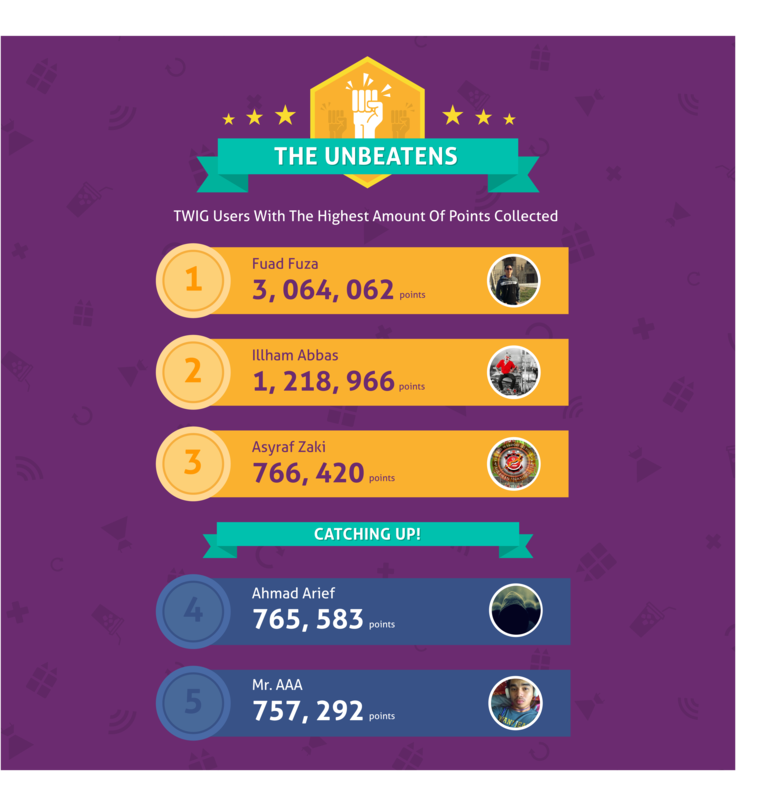 It can get pretty competitive in the pursuit of points, as proven by the leaderboard which displays The Unbeatens (Twig users with the highest amount of points accumulated). To give some perspective, the proud owner of 3,064 062 points actually has RM 3,064 worth to spend on rewards. With over 3000 5 star ratings and a 4.4 Star Average rating, the Twig app on Google Playstore has a comment section that is flooded with users raving about the cash rewards they’ve earned and encouraging others to use their referral code. While it may seem to be a beneficial app for users, Twig isn’t just geared towards ordinary mobile users; they also help create engagement for their advertising clients. 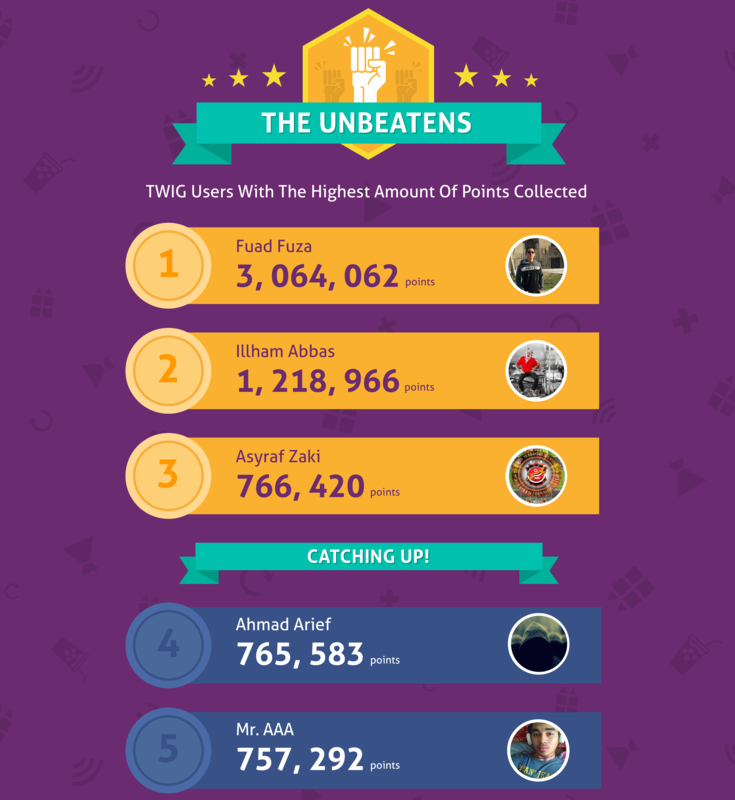 To-date, Twig has worked with several advertisers such as Celcom, Lazada, 11Street, AppleCrumby&Fish, Wanderzoom and more. “It’s very important for us that we work with our potential clients as business partners to help them achieve their marketing goals rather than just a high visibility advertising platform,” Ming Luk said. After all, they are more than just a billboard on a mobile screen. Advertisers are attracted to Twig because of its ability to display attractive full screen images, low accidental clicks as well as its high engagement. The ads on Twig are registering around 2–3% engagement (i.e. click through rates) compared to banner ads’ <1%. Additionally, unlike other incentivised advertising platforms, Twig does not invite abuse and false leads for advertisers as it has developed an algorithm where a user only gets rewarded for certain clicks. Despite their progress in one year, the team still needs to continually solve the chicken and egg problem. They have to attract two types of customers—users and advertising clients. Advertising clients are less inclined to sign-up without users and vice versa. This young team has big dreams for their future, and doesn’t plan on just leaving them in the abstract. Their immediate goal is to improve user retention and expand their customer base by 200-300% by the end of 2017. To realise this aspiration, they will focus on enhancing the mobile app by adding new features, enriching the user experience and pushing more trending content and deals. In parallel, they will be ramping up their business development activities to sign-up more advertising clients. They are also expanding beyond the borders of our country and are in the midst of making that happen.